To hug or not to hug, that is the question. Now you can know the pleasure of owning your very own Aliens Chestburster… without the parasitic infestation or the resulting xenomorphic carnage! 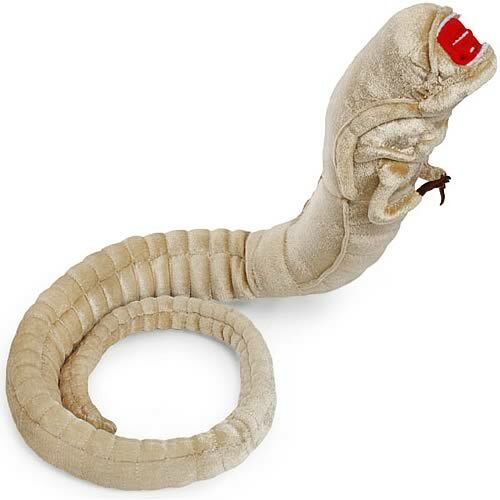 This Chestburster Plush is an officially licensed 20th Century Fox 1:1 scale replica of the original nymph-stage xenomorph from Aliens. Constructed of smooth velour that matches the color of the movie design, the soft plush measures 48-inches long! Inside, a wire runs from the head to the tail, allowing you to pose the Aliens Chestburster Plush just the way you want it. It can even stand up on its own! Arms, teeth, and inner jaws are all finely detailed. You’ll feel like you have an actual film prop to cuddle! Ages 3 and up.